Abbas Kiarostami, who died Monday at age 76 from complications related to cancer, was an icon of international cinema. His meditative art films such as Where Is the Friend’s Home?, Close-Up and Life, and Nothing More received acclaim the world over. His 1997 masterpiece Taste of Cherry won the Palme d’Or at Cannes. And just recently, he was invited to join the Academy of Motion Picture Arts and Sciences. But while Kiarostami has long been championed as one of cinema’s greatest artists – a filmmaker who deftly balanced humanism and poetry – his legacy rests on one, giant accomplishment: his films frequently challenged the simplistic image of Iranians as religious fundamentalists. His work demystified an entire people who were so often misrepresented by the Western world. Long before Kiarostami became Iran’s first internationally championed filmmaker, he worked in graphic design and advertising. In 1969, he joined a government-funded organization created by the Shah’s wife, Farah Pahlavi, called the Institute for the Intellectual Development of Children and Young Adults, better known as Kanoon. The institute provided a safe space for Kiarostami to develop his craft during the 1979 Islamic Revolution and the Iran-Iraq war of 1980-1988, a period of great turmoil for Iranian artists. Early on, Kiarostami displayed a predilection for experimentation; in his hands, an educational film about dental hygiene could become a formally daring exercise. From there, it was on to a storied career as an art-house sensation. 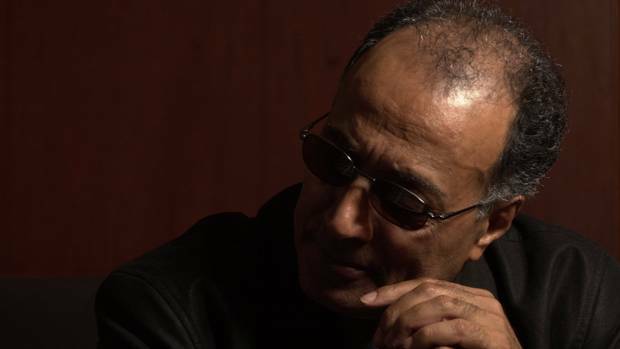 Kiarostami’s global successes in the late 1980s included an unofficial trilogy of films called the Koker trilogy, in which the fictional world of each film is placed in the fictional world of the previous film. Where is the Friend’s Home? is about a young boy’s spiritual journey while trying to do the right thing; Life, and Nothing More is about the aftermath of an earthquake; andThrough the Olive Trees, which featured actors from Life, and Nothing More, gave international audiences one of their first Islamic love stories. By centring on the filmmaking process itself, these films, and many others by Kiarostami, invite the viewer to ask questions about what, exactly, they’re watching. The ending of Taste of Cherry, for instance, reveals Kiarostami’s actual shooting crew on video. But the quintessential Kiarostami film that defines this theme is Close-Up, a hybrid documentary-drama about a troubled man named Sabzian, who has found himself in jail for posing as another Iranian filmmaker (Mohsen Makhmalbaf). As Close-Up expertly demonstrates, Kiarostami created a cinema of questions; his signature long takes and quiet shots of nature and inanimate objects allowed audiences ample time to examine every inch of the frame and their own observational behaviours. Somehow, he accomplished this while still being an inimitably accessible filmmaker. Since the turn of the millennium, Kiarostami continued to be formally ambitious, focused on his own interests, creating beautiful, misunderstood films despite the loss of some fan support – from Iranians unhappy with his portrait of their home country to cinephiles who gave up on his Ten (2002), shot on digital at a time when nobody dared to use the format, and his daring Shirin (2008), a film consisting entirely of shots of women’s faces watching a movie heard off-screen. A new generation of film fans, though, fell in love with Kiarostami upon the release of Certified Copy (2010), made in Italy and starring Juliette Binoche, about a couple who have either just met or have been together for years – the film presupposes both scenarios. By making movies outside Iran, including his last film, Like Someone in Love (2012), Kiarostami explored new territory, both geographic and artistic, and reinvented himself. Over the years, Kiarostami inspired multiple generations of filmmakers, both within Iran and outside – his work simply had the kind of lasting impact so few international directors are able to actualize. While Kiarostami’s films consistently embodied much of Iranian culture – its poetry, philosophy, everyday culture and rustic landscapes – his work also resonated universally, across every language and cultural barrier. He grew easily outside of the label of Iranian director by consistently challenging himself and the limitations of film form, and asking viewers to keep up with him. Kiarostami embodied the best attributes of world cinema: optimism, humanism, playfulness, artistic audacity. He was a beacon for understanding culture, and ourselves, through the power of film.